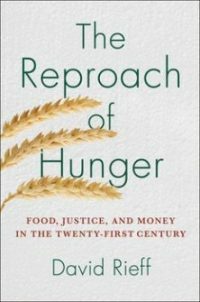 In a groundbreaking book, based on six years of on the ground reporting, expert David Rieff offers a masterly review about whether ending extreme poverty and widespread hunger is within our reach as increasingly promised. Can we provide enough food for 9 billion (2 billion more than today) in 2050, especially the bottom poorest in the Global South? Some of the most brilliant scientists, world politicians, and aid and development persons forecast an end to the crisis of massive malnutrition in the next decades. However, food rights campaigners (many associated with green parties in both the rich and poor world) and traditional farming advocates reject the intervention of technology, biotech solutions, and agribusiness. Many economists predict that with the right policies, poverty in Africa can end in twenty years. “Philanthrocapitalists” Bill Gates and Warren Buffett spend billions on technology to “solve” the problem, relying on technology.